My daughter has grown up all of a sudden and developed a dislike for pink. We just finished redecorating her and her sister’s entire room to get rid of any trace of pink. Thankfully, she still likes glitter. 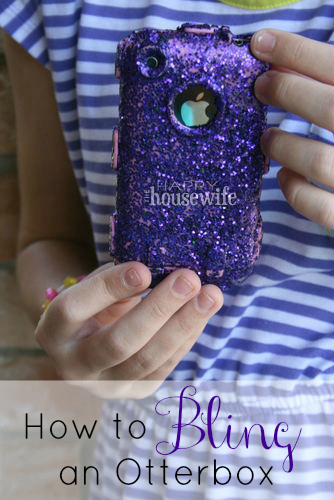 She has just recently inherited her Mom’s old iPhone and pink Otterbox cover, but there is nothing wrong with it. 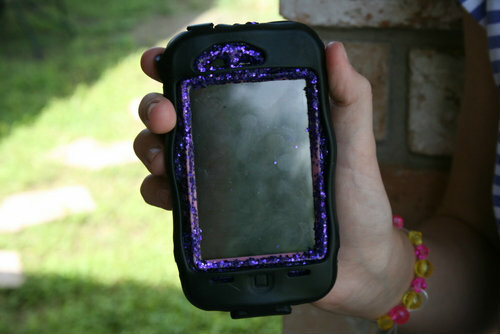 So, we decided to try to Bling it with purple glitter. I love when DIY projects turn out better than we had hoped. It saved her at least $15.00 for a new one, and hers is pretty unique. Plus, what preteen doesn’t like BLING? 1. 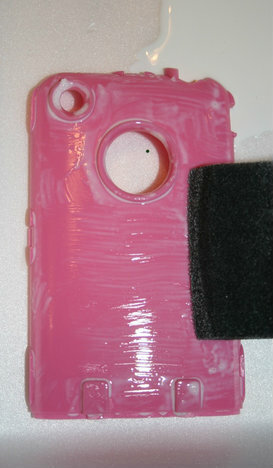 Wash the otterbox to get rid of any oils or dirt. Make sure the pieces are dry. 3. 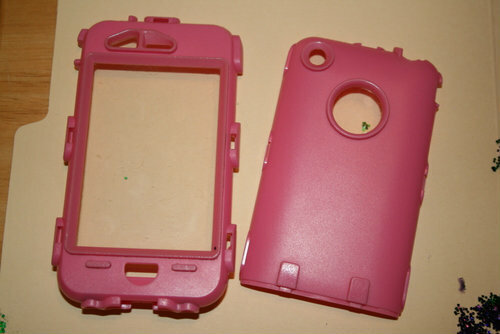 Paint the Otterbox with the Mod Podge. Make sure to coat it well. 4. Now the fun part. 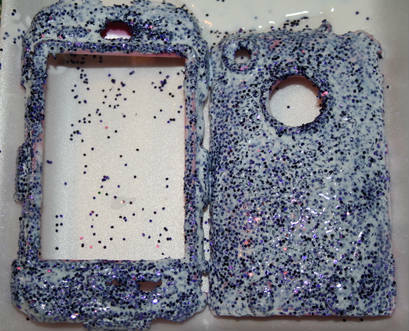 Cover it with glitter. 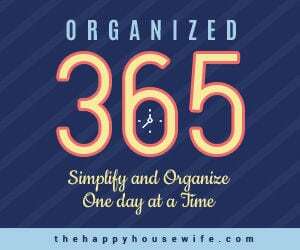 If you miss some, don’t worry, you can always go back and redo it later. Let it dry for 15 to 30 minutes. 5. 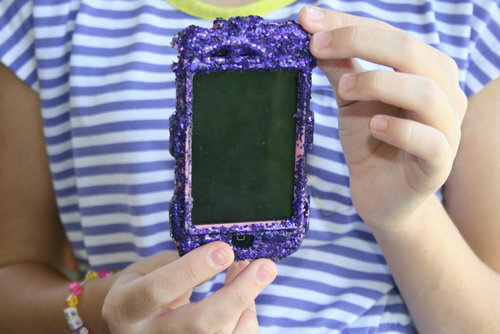 Paint the glitter part with more Mod Podge. Make sure it is covered well. 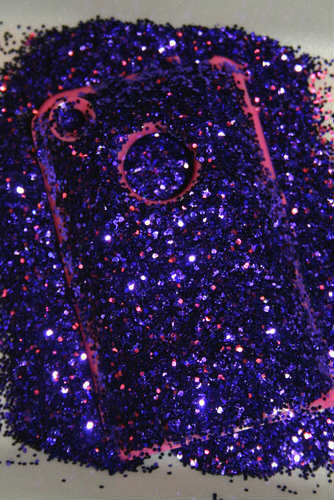 This helps seal in the glitter so it won’t come off on your hands. Let dry overnight. 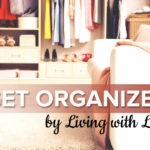 Also, if you notice you have missed a spot, just add more Mod Podge and repeat the steps.